I have a whole Holiday Shop page on my blog, but the thought of putting a gift guide into a blog post has been intimidating me. There are so many fabulous options out there. How am I supposed to narrow these things down?? During the SEC Championship, I decided to stop overthinking this topic and make a list. I picked out 10 items that I own, love, and highly recommend. And I picked out 10 other items that I do not have but think any girl would love to receive as a gift. I chose several investment gifts because why not? I am most definitely not saying that I will be receiving these items, but if I can't dream big on a blog gift guide, then where can I?! Plus, I will have a stocking stuffer/ under $25 gift guide coming soon, so I will save some of my favorite less expensive options for that post! 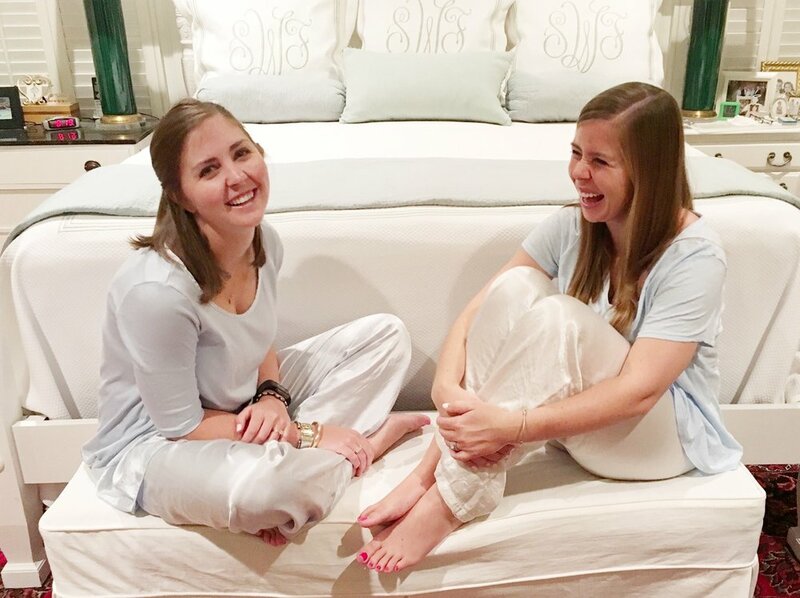 We highly recommend these pajamas! Ebie and I both received our first pairs for Christmas last year and love them so much that our parents are giving us a second pair this year! You can click here for Ebie's matching set. And make sure you size down. I am wearing size small, and Ebie is wearing size XS. If you'd like to see more gift ideas, scroll up to the top of the page, click Menu, Holiday Shop, and then you can choose which category you'd like to shop from! What are you asking for? Of course there are several things that I would like to have, but I am most excited about getting a new phone to help with the quality of my pics! And gift cards are always something I look forward to! Thanks so much for reading! Have a great day!